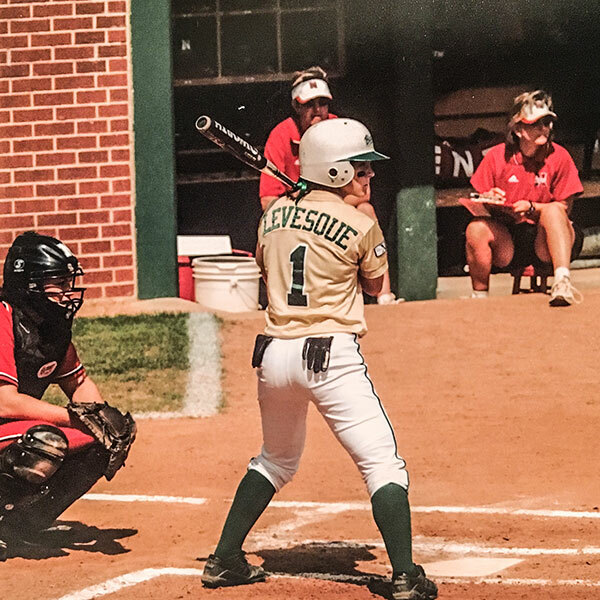 When California native Kelly Levesque played her final game as a member of Baylor’s softball team in May 2004, staying in Texas was nowhere on her life and career checklist. Nearly 15 years later, Levesque still resides in the Lone Star State. And now, her family is in Texas. Her parents recently moved from California to Texas, and her brother Steven, BA ’06, lives in Abilene. Levesque is in her second year as assistant principal at Woodway Elementary School, part of the Midway Independent School District, and her 14th year in Waco-area education. A two-time, first-team All-Big 12 Conference selection, Levesque was accepted into Baylor’s Strickland Scholars program that allows students to earn a master’s degree in 15 months. Through the program, Levesque taught fourth grade at Waco’s Rapoport Academy. It was by God’s providence that Levesque came to Baylor. She began college at Louisiana State University, where she was a part of then-LSU head coach Glenn Moore’s final signing class. She never played for Moore at LSU as he was hired as Baylor’s head coach months before her freshman year commenced. After one season at LSU, Levesque joined Moore and assistant coach Mark Lumley at Baylor. Levesque, who spent much of her academic time at Baylor in the health, human performance and recreation department, says she appreciated the connection with her professors. After four years as a teacher at Rapoport Academy, Levesque faced another “never” on her life and career plans. Levesque began teaching intermediate-school physical education and coaching softball for nearby China Spring ISD. After six years in that role, she transitioned into administration. Levesque was assistant principal at China Spring Intermediate for two years before moving to Woodway Elementary in 2017. Levesque, whose mother was an elementary school librarian, enjoys seeing children develop their personalities and begin to understand life. “In education, you don’t always get to see the reward,” she says. “You have the students for a while, and you don’t always see where they end up. But in this role I am able to be a part of their day-to-day successes, and it’s rewarding to see the smiles on their faces and the progress they are making.